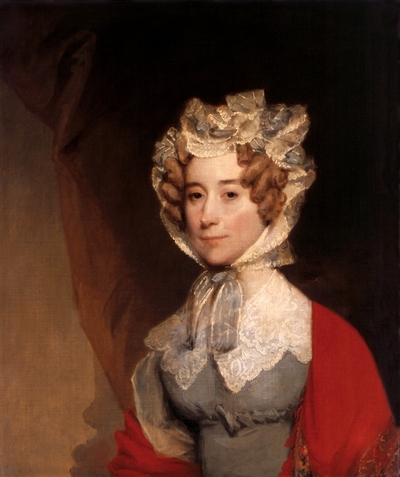 Born Louisa Catherine Johnson on February 12, 1775, in London, she was the daughter of Catherine Nuth Johnson, an Englishwoman and Joshua Johnson, an American merchant whose brother Thomas Johnson later served as Governor of Maryland and United States Supreme Court Justice. Joshua Johnson was originally from Maryland. She had six sisters: Ann, Caroline, Harriet, Catherine, Elizabeth, and Adelaide, and a brother, Thomas. She grew up in London and Nantes, France, where the family took refuge during the American Revolution. She met John Quincy Adams in London, where her father had been appointed United States consul general in 1790. Adams at first showed interest in her older sister but soon settled on Louisa. Adams, aged 30, married Louisa, aged 22, on July 26, 1797, at All Hallows Barking parish in London. Adams’ father, John Adams, then President of the United States, overcame his initial objections to his son marrying a person born in another country and welcomed his daughter-in-law into the family. Her parents left Europe in 1797 and went to the U.S. When her father was forced into bankruptcy, President John Adams appointed him U.S. Director of Stamps. Her father died in Frederick, Maryland, in 1802 of severe fever and some mental problems. 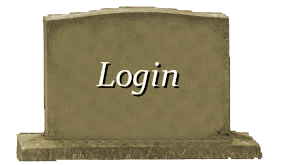 Her mother died in September 1811 in her mid-fifties and is buried in Rock Creek Cemetery. 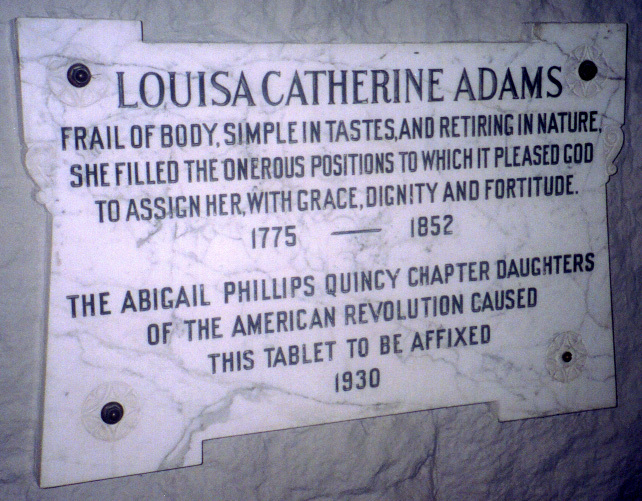 Louisa Catherine Adams (August 12, 1811 – September 15, 1812), born and died in St Petersburg, Russia, buried in the Lutheran Cemetery there. Louisa was sickly, plagued by migraine headaches and frequent fainting spells. She had several miscarriages over the course of her marriage. She left her two older sons in Massachusetts for education in 1809 when she took two-year-old Charles Francis Adams to Russia, where Adams served as a Minister. Despite the glamor of the tsar’s court, she had to struggle with cold winters, strange customs, limited funds, and poor health. An infant daughter born in 1811 died the next year. Peace negotiations called Adams to Ghent in 1814 and then to London. To join him, she made a forty-day journey across war-ravaged Europe by coach in winter. Roving bands of stragglers and highwaymen filled her with “unspeakable terrors” for her son. The next two years gave her an interlude of family life in the country of her birth. When John Quincy Adams was appointed James Monroe’s Secretary of State, the family moved to Washington, D.C., in 1817 where Louisa’s drawing room became a center for the diplomatic corps and other notables. Music enhanced her Tuesday evenings at home, and theater parties contributed to her reputation as an outstanding hostess. The pleasures of moving into the White House in 1825 were dimmed by the bitter politics of the election, paired with her deep depression. 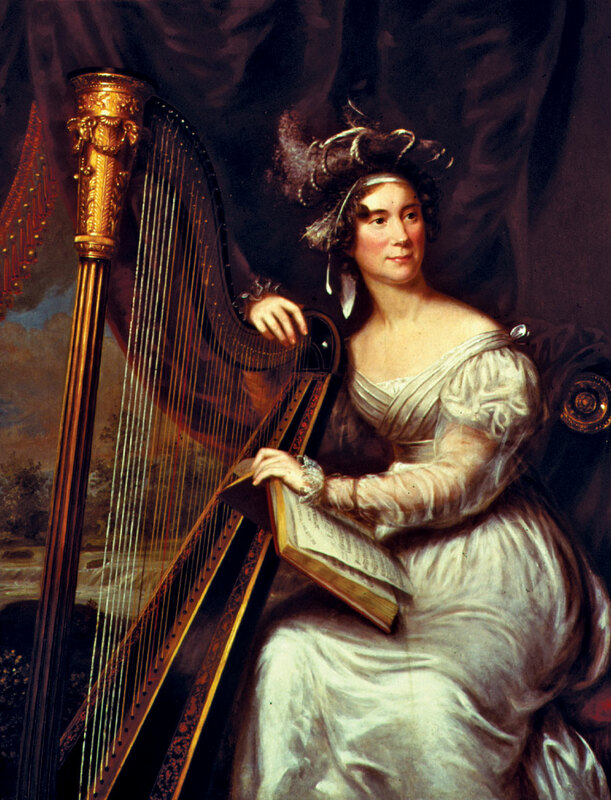 Though she continued her weekly “drawing rooms”, she preferred quiet evenings of reading, composing music and verse, and playing her harp. As First Lady, she became reclusive and depressed. For a time, she regretted ever having married into the Adams family, the men of which she found cold and insensitive. The necessary entertainments were always elegant and her cordial hospitality made the last official reception a gracious occasion although her husband had lost his bid for re-election and partisan feeling still ran high. In his diary for June 23, 1828, her husband recorded her “winding silk from several hundred silkworms that she has been rearing,” evidently in the White House. She thought she was retiring to Massachusetts permanently, but in 1831 her husband began seventeen years of service in the United States House of Representatives. 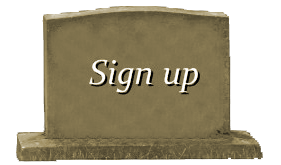 The untimely deaths of her two oldest sons added to her burdens. Her husband died at the United States Capitol in 1848. She remained in Washington until her death of a heart attack on May 15, 1852, at the age of 77. 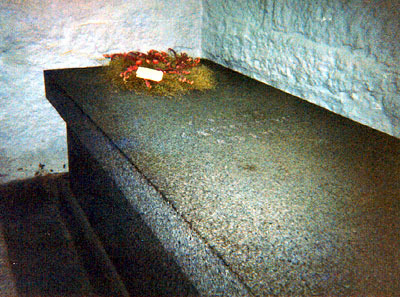 She is entombed at his side, along with President John Adams and first lady Abigail Adams, in the United First Parish Church in Quincy, Massachusetts.